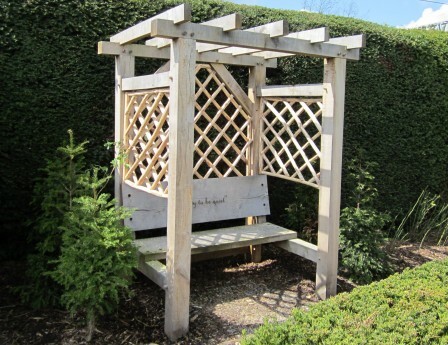 Simple garden structures which are often used to grow climbing plants or to create a sheltered seating area or arch way bring value and aesthetic charm to every garden. Coppiced oak and chestnut poles are ideal to create the main structure and seats and benches are often built into the main frame. There are many different designs which can be adapted to suit individuals preference to create bespoke structures. The level of finish and the type of joints and fixtures used will dictate the value of the finished structure. Your local coppice worker will be able to build to your specification or prepare your materials for a self build project.